Durmitor National Park is a mountainous destination in Montenegro that awakens the imagination. The park encompasses the Dumitor mountain range, a 48-peak massif with numerous glacial lakes. Each peak seems to be its own fabled character frozen in time eons ago. One could almost believe that the mountains awake at night and slowly twist and turn in an attempt to change their point of view. As we explored the park, some mountains reminded us of the Dolomites, while others of Iceland. The beauty of Durmitor is astounding and accessible. From exhilarating peak hikes to deep forest walks, there’s something here for everyone. And, for those who love scenic drives, the mountain route between Žabljak and Piva Lake (P14 Žabljak – Trsa – Plužine) is not to be missed. 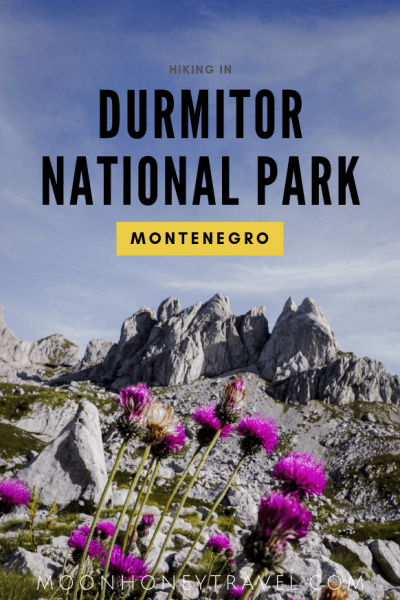 In this guide, we’re going to detail the best Durmitor National Park hiking trails plus fill you in on how to get to the park and where to stay. There’s a 3 EUR entrance fee to visit the park. 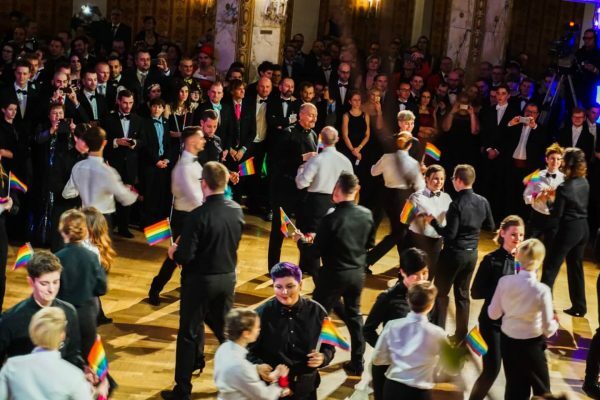 You can also purchase a discounted 3-day ticket for 6 EUR. You’ll pay the fee at the park entrance, which is located on the wide path to Crno Jezero. If you’re hiking into the park from other trailheads (e.g. Sedlo), there may, or may not be someone collection the park entrance fee. 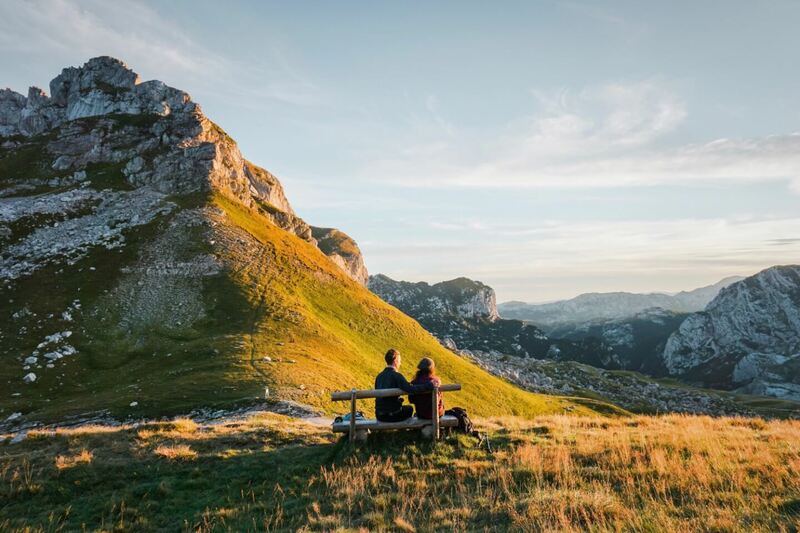 July, August, and September are the best months for hiking in Durmitor National Park. We hiked in the park in early September and experienced perfect weather. Durmitor National Park is located in northwestern Montenegro. The park encompasses the Durmitor mountain range, which is part of the Dinaric Alps. The closest town to the park is Žabljak. The highest peak in the park is Bobotov Kuk (2,523 meters), which can be summitted by most intermediate hikers. 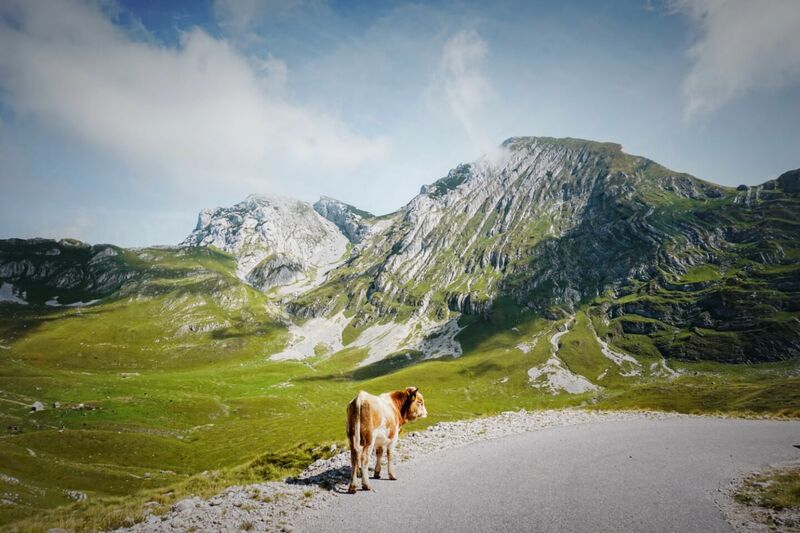 We highly recommend renting a car to explore Durmitor National Park. 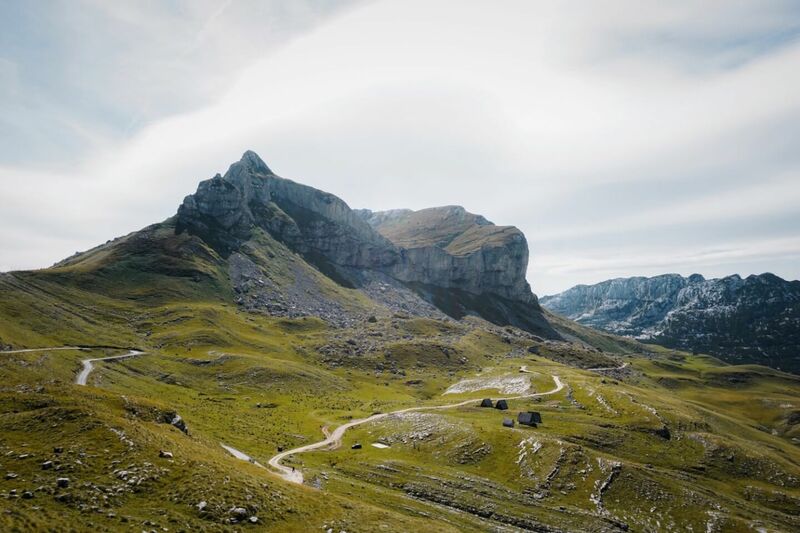 By having a car, you’ll be able to reach certain trailheads with more ease and drive along the stunning P14 scenic route that connects the towns of Žabljak and Plužine. However, if you don’t have a car, don’t let that deter you from visiting this special corner of Montenegro. You can still reach the park with public transit, and when necessary, rely on local taxis to get you around. 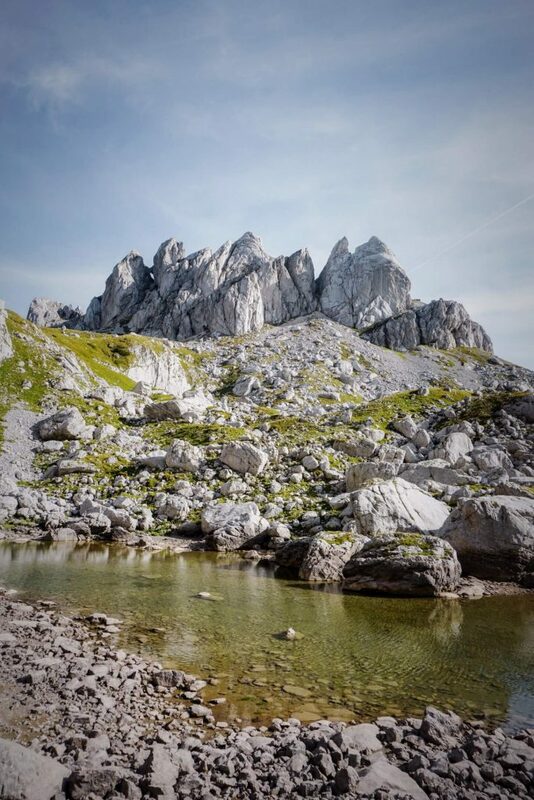 Žabljak is the best base for exploring Durmitor National Park. It’s the gateway town to the park. If you’re staying in the town center, you’ll be able to walk to the park entrance. From Kotor, it’ll take roughly 3 hours to reach Žabljak by car. From Podgorica, it’ll take 2 hours. 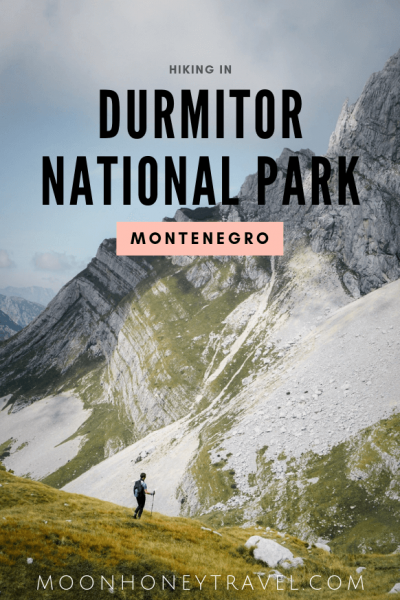 Herceg Novi to Durmitor National Park. There is no direct bus line between Herceg Novi and Žabljak. You’ll need to change buses in Nikšić. It looks like there are at least 3 daily departures from Herceg Novi to Nikšić each day. Depending on the time of departure, it’ll take anywhere from 3h 45 min to 4hr 25 min to reach Nikšić (~10 EUR). And then, it’ll take an addition 1hr 40min to reach Žabljak (~5 EUR). Herceg Novi Bus Terminal: E65, Herceg Novi 85340, Montenegro. Use busticket4.me to find bus time tables and other routes to Žabljak. 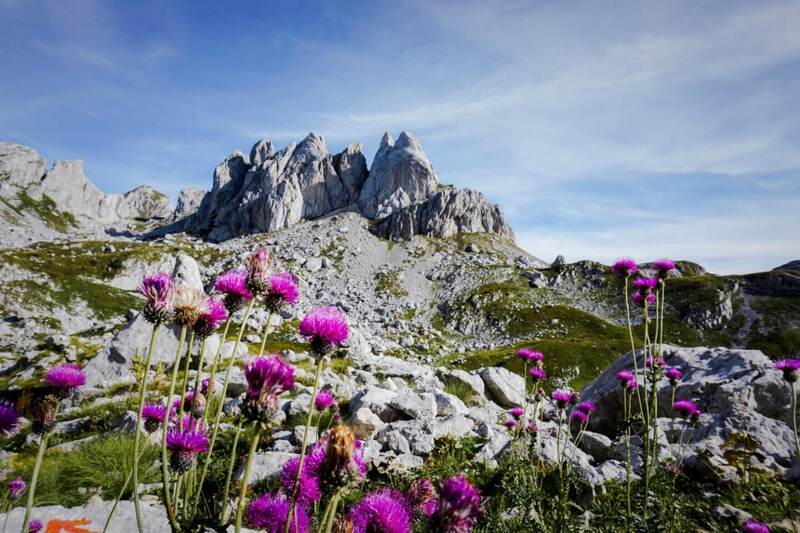 The town of Žabljak is the perfect base for exploring the Durmitor mountains. Though the town is small, it has everything you need to enjoy your alpine holiday (except a laundromat). 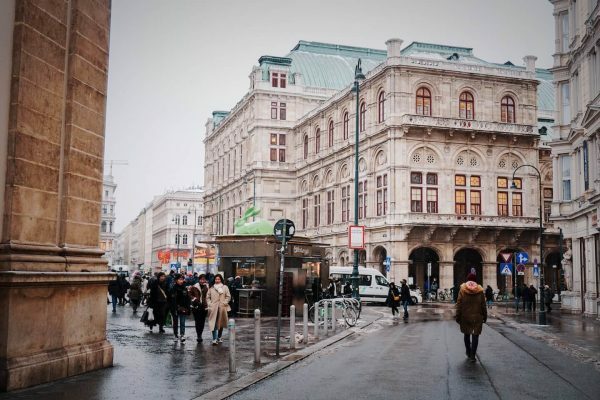 There are a number of restaurants, bakeries, and hotels to experience and stay in. For those traveling to Durmitor without a car, look for accommodation in the “town center” (not on the P5 highway, Narodnih Heroja). The first three recommendations below are located in the town center. 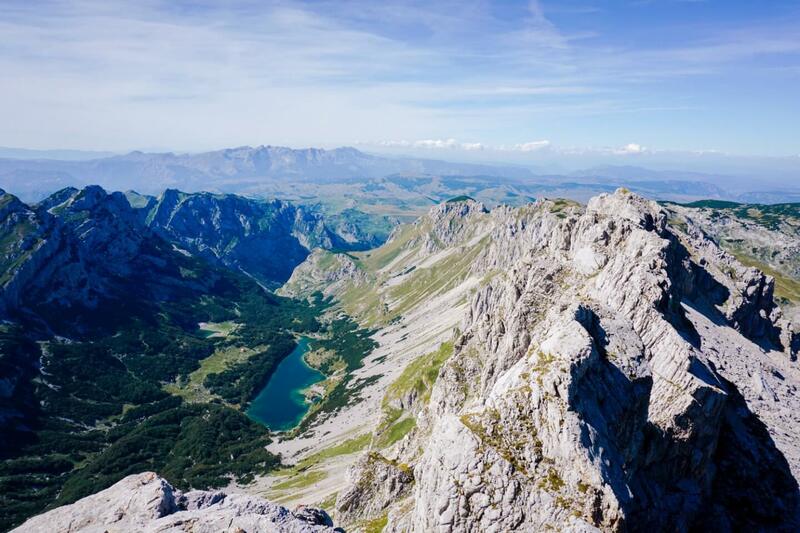 We suggest staying at least 3 nights in Žabljak, so you can get in 2 full days of hiking. Budget | Hostel Hikers Den is the perfect choice for backpackers and solo travelers. This lively spot is situated directly in the center of town, walking distance to the park and all restaurants. Mid-Range | Vuk Popovic is a very clean and spacious apartment fully furnished and stocked with necessary amenities. The apartment can sleep up to 4, or 5 people. Luxury | Hotel Soa is the best accommodation if you want a spacious modern room, an excellent breakfast and spa facilities. The hotel is perfectly situated between the city center and the Crno Jezero (Black Lake). We stayed in Rooms Sweet Dreams, a budget-friendly guesthouse. It was perfectly fine, although there were no kitchen facilities and we had to share a bathroom with the neighboring rooms. Only stay here if you have a rental car. 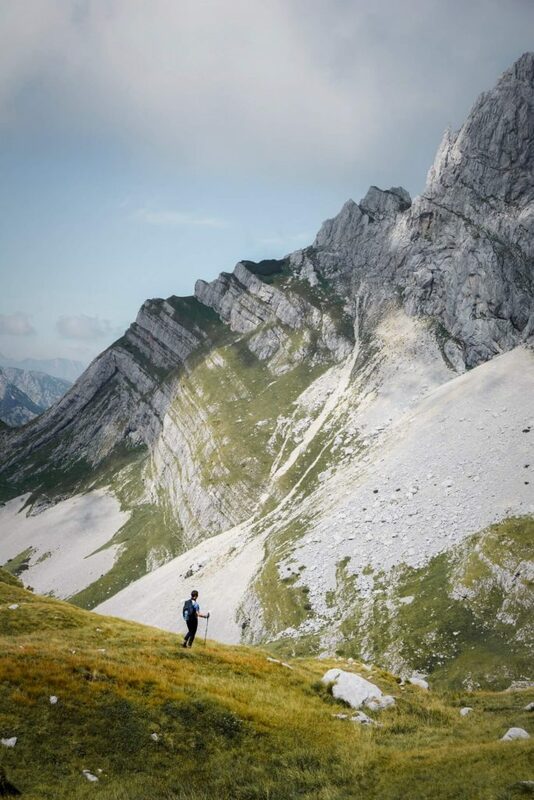 Bobotov Kuv is the highest peak in Durmitor National Park and a fantastic hiking destination. 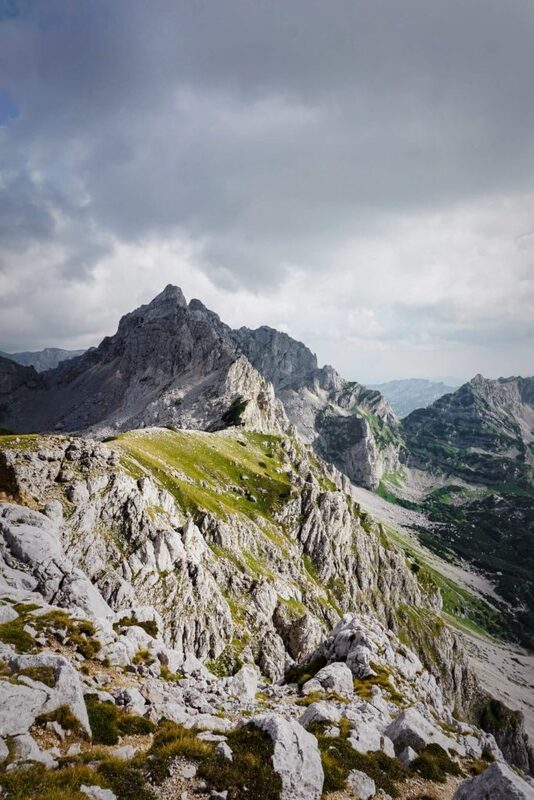 There are a few ways to reach the peak, but the easiest and shortest way is from “Sedlo,” the pass on the scenic P14 road, which is 14 km outside of Žabljak. If you have a car, you can drive directly to Sedlo, where you’ll find a small parking lot. If you don’t have a car, you can hire a taxi in Žabljak to drop you off at the Sedlo trailhead. Overall, the hike to Bobotov Kuv is easy to follow and not overly difficult if you have alpine hiking experience. That being said, this isn’t an “easy” hike. The first half is almost entirely flat, while the second half ascends through very rugged terrain. The very last segment includes some bolted down ropes and a bit of scrambling. You need to be surefooted and not afraid of heights to tackle the final stretch to the summit. We recommend hiking poles for this trail, to stabilize your descent. If this sounds too challenging, still consider hiking the first half of the trail (see Zeleni Vir trail below). Length: 3 hours to summit. 6 – 6.5 hours roundtrip. When to Hike: If you start the hike in the late morning, or early afternoon, you could time your descent with seeing the sunset at Sedlo (highly recommend). Zeleni Vir is a tiny lake that you’ll pass if you’re hiking to Bobotov Kuv. See trailhead directions above. For anyone who doesn’t want to summit Bobotov Kuv, we still recommend hiking to Zeleni Vir. Most of the trail is relatively flat. 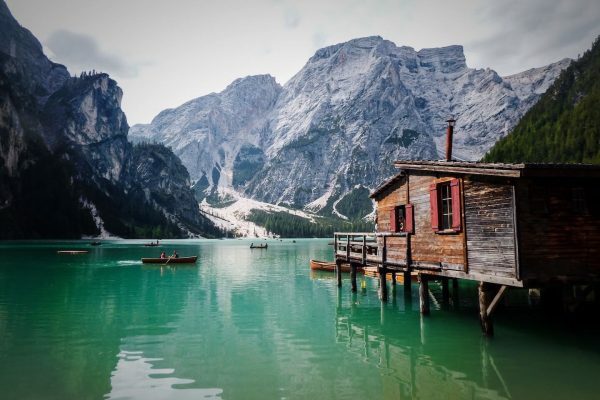 Though the lake is more like a big pond, the mountain views are magical. Length: 2 hours one-way. 4 hours round-trip. 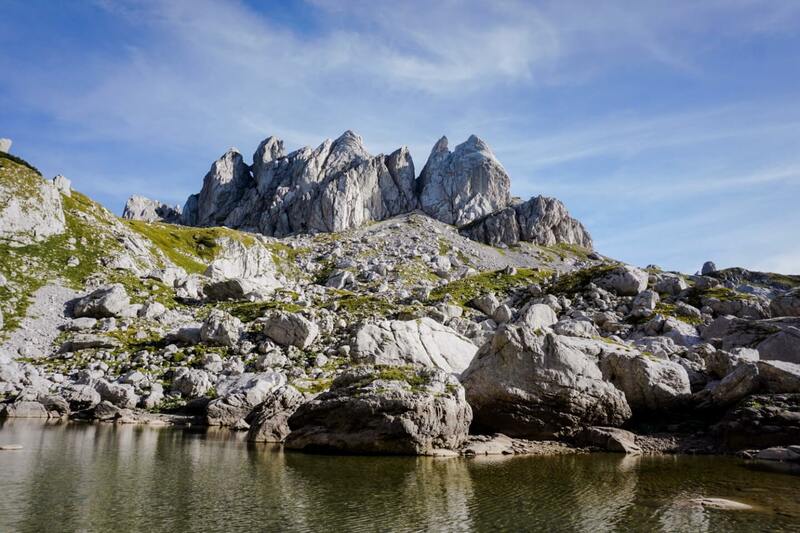 Planinica (2330 m) is a high alpine plateau that boasts arguably the best view in the entire park. It takes 4.5 hours to reach Planinica, so this is a very long day hike. The Planinica hike starts at Crno Jezero (Black Lake), which is very close to the park entrance. The beginning of the hike takes you along wide trails through thick forest in the direction of Zminje Jezero. After passing through the Crepulj Pokhara meadow, you’ll soon emerge above the bush line. The landscapes get increasingly more beautiful as you cut through high alpine meadows of Donja Alisnica (1931 m) and Gornja Alisnica (2064 m) dotted with grazing cows and horses. After crossing the meadows, there’s a final climb to Planinica. Once you’re on the plateau, you can roam around for another 30 min for varying views. 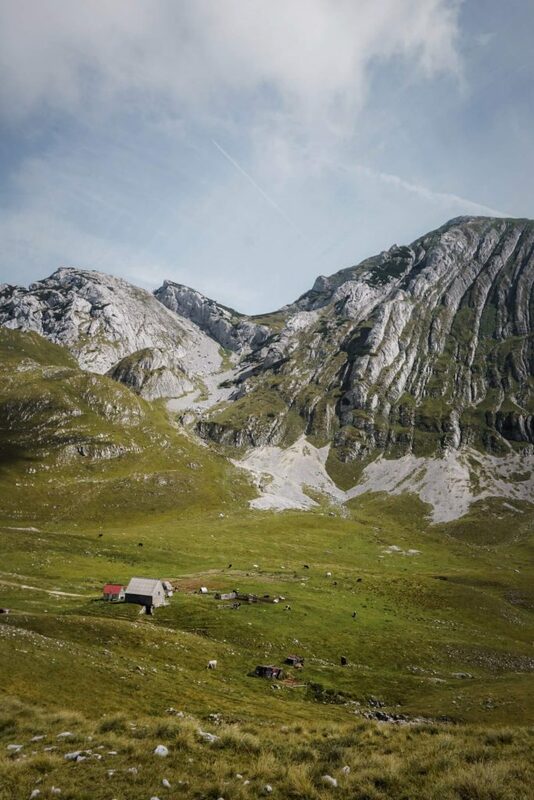 When to Hike: The views from Planinica are best in the late afternoon. We lingered a bit too long on the plateau and struggled to make it back before sunset. Mount Prutaš (2393 m) is a striking mountain that’s reachable from the scenic P14 mountain road. This would be a great hike to do if you’re heading to Plužine, since the Todorov Do trailhead is 24 km from Žabljak (45 min drive). As you’re driving along R16, you’ll be able to see the mountain from the road. Mount Prutaš is the ultimate showstopper. It looks like a thick deli sandwich that’s resting on its side. Unfortunately, we didn’t get a chance to hike to the summit, but it’s on our list for future visits. Option #1 Western Approach – Todorov Do (Pištet water spring). 1.5 hours one-way. Options #2 Southern Approach (easier) – Dobri Do (Sarban water spring). 2:15 hours one-way. Use SummitPost’s guide to plan your hike. There are other route options. Veliko Škrčko jezero (Large Škrka Lake) and Malo Škrčko jezero (Small Škrka Lake) are two glacial lakes in Durmitor National Park situated in the Skrka Lakes Valley. We saw the lakes from the summits of Bobotov Kuv and Planinica but didn’t get a chance to hike directly to the lakeshores. You could hike to Veliko Škrčko jezero (1686 m) after visiting Mount Prutaš, which takes an additional hour to reach (downhill). The return hike from Skrka Lakes Valley to Prutaš is 2 hrs (uphill). Option #1 Western Approach – Todorov Do (Pištet water spring) – Veliko Škrčko jezero. 2.5 hours to the lake. 3.5 hours back. (6 hours total). Options #2 Southern Approach (easier) – Dobri Do (Sarban water spring) – Veliko Škrčko jezero. 3.15 hours one-way. (7 hours total). Crno Jezero (Black Lake) is a glacial lake ringed by forest. It’s situated only 10 minutes from the park entrance (walking distance from Žabljak). To reach the lake, you’ll walk along a flat, paved road. 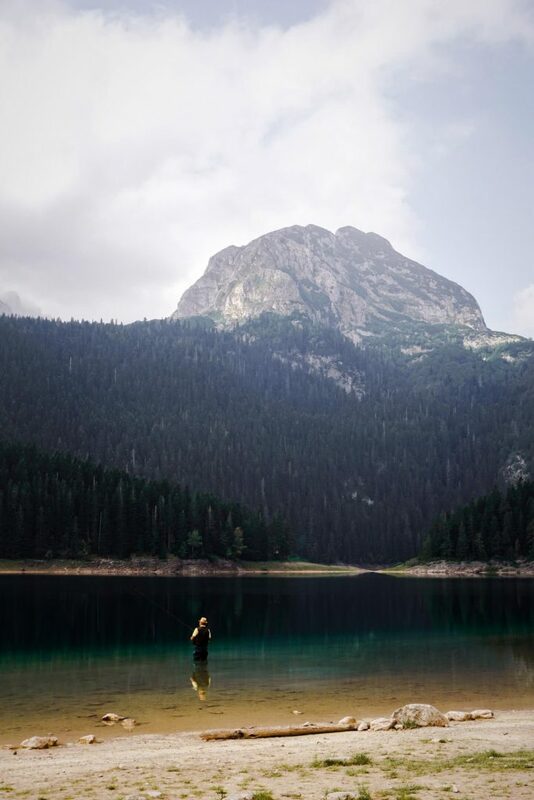 This lake marks the trailhead for many Durmitor hiking trails. 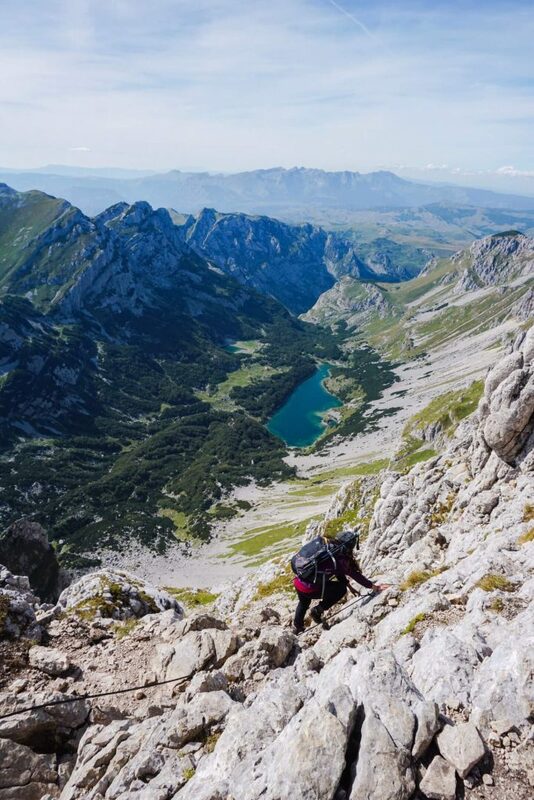 The Via Dinarica is a long-distance hiking route that traverses the Dinaric Alps through Slovenia, Croatia, Bosnia and Herzegovina, Montenegro, Kosovo, Serbia, Albania, and Macedonia. The trail spans nearly 2,000 km and is broken up into 120 stages. Stages 38 – 42 run through Montenegro, with the initial stages passing through Durmitor National Park. 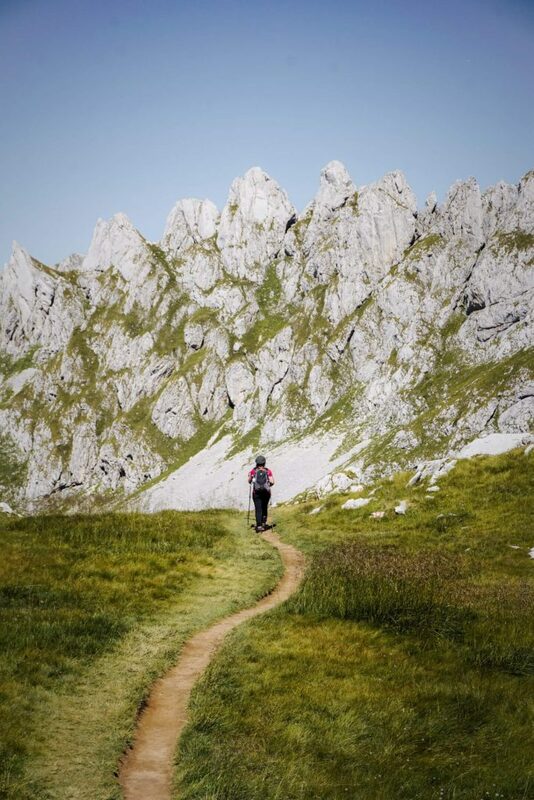 Multi-day hikers could hike several stages of the Via Dinarica, by starting or ending in Žabljak. 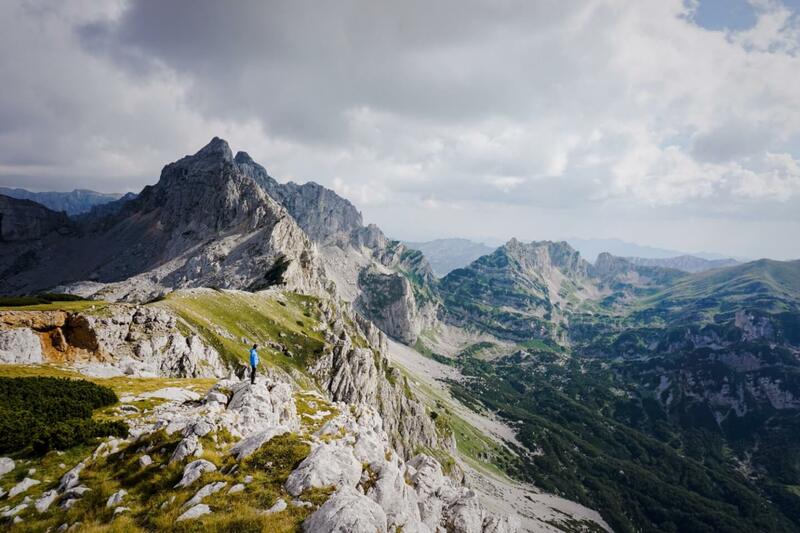 It’s possible to do multi-day hikes in Durmitor. Wild Camping (dispersed camping) is allowed within the park. 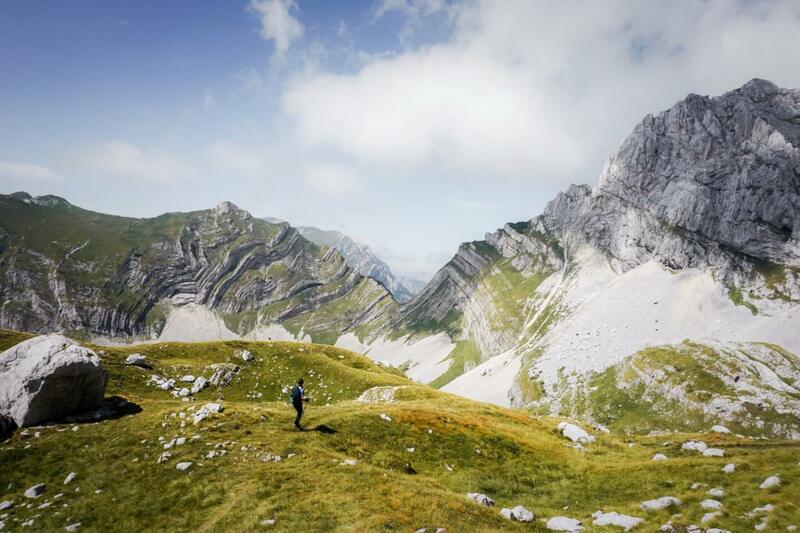 We recommend using Cicerone’s Mountains of Montenegro guide for inspiration and route planning. We were really impressed by the signs and waymarks in Durmitor. It was a lot easier to follow trails here than in Prokletije, another park in Montenegro. Durmitor National Park hiking trails are marked with the Knafelc Waymark, which is a red circle with a white center. If you like to follow trails with your phone, the Maps.me app was very reliable in this region. 1-Liter Reusable Water Bottle. We carry at least 1 water bottle each. Hiking Boots for Women. If you want to invest in a serious hiking boot that will serve you well in rocky, high alpine terrain, look into buying a pair of Hanwag Tatra Light Lady GTX. These shoes have an extraordinary profile and aren’t rigid like traditional alpine boots. Hiking Backpack + Raincover. Ideal (light) trekking backpack: Osprey Packs Kyte 36 Women’s Backpack or Osprey Packs Kestrel 38 Backpack. Fleece (one for hiking, one for sleeping). It’s always good to have a fleece with you for added warmth. Fleece sweaters are lightweight and dry quickly. We recommend this Marmot Norhiem Women’s Sweater Knit Fleece Jacket.